The Gates Sta-Level broadcast compressor is a classic — but it isn’t cheap. Can Wes Audio give you the same sound for less? These days, it’s not unusual to find small audio manufacturers who have recreated, modified, updated or re-imagined a much-coveted item of vintage analogue recording hardware. The recreations can range from near-perfect reproductions, both electronically and physically, through to sensibly and sensitively modified nits, equipped with the features and facilities required by present-day DAW-based workflows. Polish companies loom large in this landscape and Szczecin-based Wes Audio are one outfit who have made their mark, with their vintage-inspired, digitally-recallable 500-series modules and 19-inch rackmount units. 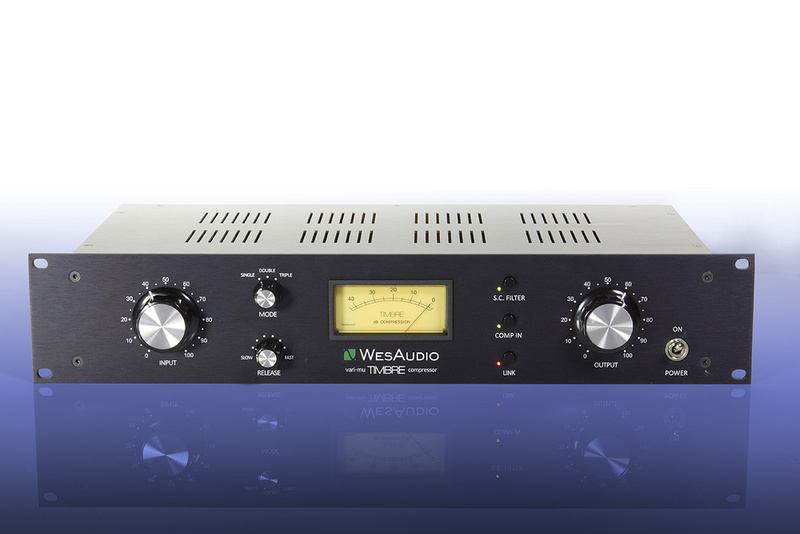 The latest Wes Audio product is the Timbre, a single-channel variable-mu valve compressor that, somewhat unusually, can trace its DNA back not to the usual suspects such as the Altec 436C and the Fairchild 660, but to the (no less-revered) Gates M5167 Sta-Level Amplifier, an automatic gain amplifier that was designed to keep a constant average level in a radio broadcast programme signal. The Sta-Level, as it’s usually known, was developed in 1956 by the Gates Radio Company of Quincy, Illinois, USA, a company that were founded in 1922 and remain to this day (as GatesAir) major players in the worldwide terrestrial radio and television broadcast equipment industry. The 3U front panel of a Gates Sta-Level is deceptively simple: there are Input and Output level controls, a two-position (Single and Double) recovery-time selector switch, a large central meter that can display up to 45dB of compression and a power on/off switch (plus indicator lamp). In contrast, the Wes Audio Timbre is 2U in height, and its front panel possesses not only the large central meter, the input and output level controls and power switch, but replaces the Sta-Level’s two-position recovery time provision with a three-position Single, Double and Triple (attack time) mode selector, and a switched, six-position, slow-to-fast release time selector. On the opposite side of the meter from the mode and release selectors you’ll find the three buttons. SC Filter instantiates a fixed-frequency high-pass filter into the side-chain, Comp In does what you’d expect, and the Link button allows two Timbres to operate in tandem on a stereo source. Unlike its front panel, the rear of a Gates Sta-Level was a hive of activity, with seven tubes, three transformers and a couple of input/output tag strips vying for space. 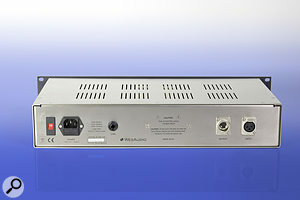 By comparison the rear of the Timbre is an oasis of calm, interrupted only by the balanced XLR connectors of the single input and output, the Link facility’s stereo quarter-inch jack and the IEC mains inlet and supply voltage selector. Internally, you’ll find both similarities and differences between the Timbre and its venerable ancestor. The Sta-Level has all its tubes and transformers sitting on the outside of its chassis, and the shots that I’ve seen of the inside of an early, totally original unit revealed a rat’s nest of wires, paper and oil capacitors and carbon composition resistors, hand-wired point-to-point between the tube bases and the occasional piece of tag board. The Timbre, thankfully, looks nothing like that! It’s a model of modernity, with everything bar the front- and rear-panel components and a boxed-off toroidal mains transformer sitting neatly on a single PCB that occupies approximately a third of the interior. As well as the usual balanced I/O on XLRs, the Timbre features a link facility, for using two units in stereo.Circuit-wise, the Timbre follows the example set by the Sta-Level of an input transformer feeding the remote cutoff 6368 tube (a JJ reissue in the Wes), which then drives a JJ 12AT7/ECC82 that acts as the phase inverter for the push-pull output stage (a single dual-triode JJ 12AU7/ECC81, as opposed to the original’s twin 6V6 beam-power tetrode setup). The side-chain signal, as in the Sta-Level, is rectified by a dual-diode tube (this time, an EAA91 rather than a 6AL5) and is then fed back, via the mode and release time constant selectors, to the grids of the 6368 as a negative variable bias, to produce the required level of compression. The result of this similarity in the compression circuitry between the two units, in theory at least, is that the overall compression characteristics of the Wes Audio Timbre should approach those of an original Gates Sta-Level. So you’d be expecting a soft-knee characteristic, a +10 to +12 dB threshold, a compression ratio of 3.3:1, a 75ms attack time and a fixed, slow release time in Single mode and, in Double mode, a 25ms attack time and a programme-dependent release time. The Timbre’s manual is not exactly specific when it comes to specifications, but it does describe Single mode as giving a slow, smooth attack, Dual mode as providing a programme-controlled attack and release that doesn’t pump, and the slowest release setting as being the standard (Sta-Level) recovery time. The Triple mode, which was originated (along with the six-position release function) not by Gates Radio but by Retro Instruments on their upgraded Sta-Level recreation (reviewed in SOS December 2014: http://sosm.ag/retro-sta-level), as having a programme-controlled characteristic with an extra-fast attack that’s recommended for use with only small amounts of compression. The manual confirms that, as in the Sta-Level, the Timbre has a compression range of 40dB and that, as you’d expect from the tube change in the output stage, its maximum gain is down to 45dB from the original’s 62dB. With only mains and analogue audio in and out XLR connectors to worry about, there’s nothing technical in hooking up the Timbre, it’s just a matter of determining where and how to use it. Since I’d found a copy of a Sta-Level manual dated April 1956, I thought I’d start with that. Incidentally, that manual lists four different applications: automatic control of the level from a speech console in order to relieve the operator from manual gain riding; automatic adjustment for differences in level between console input channels so that the operator would not have to adjust gain on those channels in case of sub-normal or abnormal levels; automatic fading-down of a turntable when the announcer speaks into a microphone; and automatic control of the level of incoming remote lines from other local or network radio stations. In order to cope with these and other possible uses, the Sta-Level’s recovery time could be adjusted to a number of fixed points between 0.75s and 45s by changing the values of two resistors. Having found all this out, I have a sneaking suspicion that part of the reason for the Sta-Level’s longevity (it remained in production until 1972) might have been that station engineers could tailor its recovery time to suit the content of their station’s output. Setting up the Sta-Level for its primary role of level control (as instructed by its manual) is simply a matter of bringing down the console master fader by 10dB from its usual maximum, increasing the Sta-Level’s input level until the compression meter peaks at 15dB with programme material, returning the console master fader to its previous level and increasing the output from the Sta-Level until the console meter peaks at 0VU or 100 percent transmitter modulation. This allows the Sta-Level to operate in the middle of its range and to compensate for signals 15dB above or below normal. Initially, I set up and used the Timbre as instructed in that Sta-Level manual, and it functioned as described. Personally I’ve never been so methodical in setting up a compressor (though I doubt I’m alone in this! ), but I will be from now on, at least to start with. The 1956 manual recommends the slow attack and fixed recovery time of the Single mode for classical music (rock & roll had yet to hit), and the programme-dependent recovery time and faster attack of the Double mode for speech, and when using the Timbre I could find no reason to disagree with those recommendations. Observing the meter during the release phases of these two modes revealed that the meter needle’s travel slows down considerably as the gain reduction approaches zero, especially following a high level of compression. The audible result of this behaviour is that, rather than imposing a strait-jacket on the track’s dynamics, the Timbre feels to be somehow more in tune with the programme material passing through it. The beauty of the Timbre’s six possible release times is that this slow-down in the recovery speeds up proportionately with the faster release times, which allows you to fit the compression more closely to the character of the instrument being compressed. For example, I used the Timbre on an octave fiddle overdub, where the ability to tune the release time to the tempo of the track turned getting a good sound and an even dynamic from this notoriously uneven instrument into a ridiculously simple task. Experimenting with already recorded and uncompressed fiddle and acoustic guitar tracks proved just how effective the Timbre can be in pulling a sound together. In fact, the Timbre is now possibly my favourite ever violin-family compressor — which could prove damaging to my bank balance! However, the Timbre is no one-trick pony. It excels on acoustic guitar, with transients being maintained relatively unscathed (at least until you get to Triple mode) even under quite heavy compression. It’s also no slouch on bass, especially on double and fretless basses, for which its smooth attack and slow release can feel really in tune with those instruments’ note delivery. When it comes to vocals, the Timbre is a very effective operator in both Double and Triple modes, rewarding time spent tuning the combination of mode, release time and compression to the individual vocalist or voice-over artist with very effective results. As with all two-knob compressors, operating the Timbre is completely intuitive and its forgiving nature means that it appears to be virtually incapable of producing nasty-sounding compression. The side-chain high-pass filter does an effective job of stopping low bass notes from producing unwanted compression, although it strikes me that not making multiple frequencies available is something of a missed opportunity, as, in this day and age, is the absence of a wet/dry mix control. Finally, there’s the overall sound of the unit. The Timbre isn’t a neutral or ‘transparent’ compressor, as the twin Carnhill transformers and tube-based vari-mu circuitry impose a distinctive sonic colour on its output, whatever is going on in terms of gain reduction. Personally, I really like how the Timbre sounds, how it performs and what it does for the acoustic-based music that I’m primarily involved in. Having also experimented with the Timbre on electric guitar, electric bass, synths and percussion, I’m certain that those operating in other genres will find it equally attractive and inspiring for both their vocal and instrumental applications — especially since it is so easy and quick to operate. Although the Wes Audio Timbre appears to be capable of delivering the same compression characteristics as both the original Gates Sta-Level and its Retro Instruments recreation, the simple fact of the electronic differences between it and the other two means that it isn’t going to sound exactly like either of those units. If you look at the Timbre on its own merits, you’ll see a great-sounding compressor that’s capable of delivering an impressive performance at an attractive price compared with its hardware competitors. If a distinctive, vintage-style, vari-mu compressor is on your shopping list, then you should certainly try out a Wes Audio Timbre. Although there are plenty of tube compressors around, there aren’t many other Gates Sta-Level-derived models. Essentially, you’ve got the choice of a used vintage Gates Sta-Level, which seem to sell for around $3000 on eBay (most are found in the US, and cost about the same in Sterling or Euros when you’ve imported them) or a new Retro Instruments’ Retro Sta-Level (reviewed SOS December 2014) for a similar price. Alternatively, if DIY is your thing, you can find PCBs for half-size Sta-Level clones from Drip Electronics, which allow you to create your own two-channel 3U interpretation. The Gates Radio and Supply Company was founded in 1922 by Henry and Cora Gates primarily to create a job for their son Parker S. Gates, an electronics enthusiast who was 15 at the time and who remained with the company for his entire working life. The company became a serious enterprise and soon outgrew its original premises (the kitchen pantry of the family apartment). One of the company’s earliest businesses was in the manufacture and rental of ‘sound amplifying devices’ and the first major product that Parker developed was a sound system used in early ‘talkie’ cinemas throughout the US. 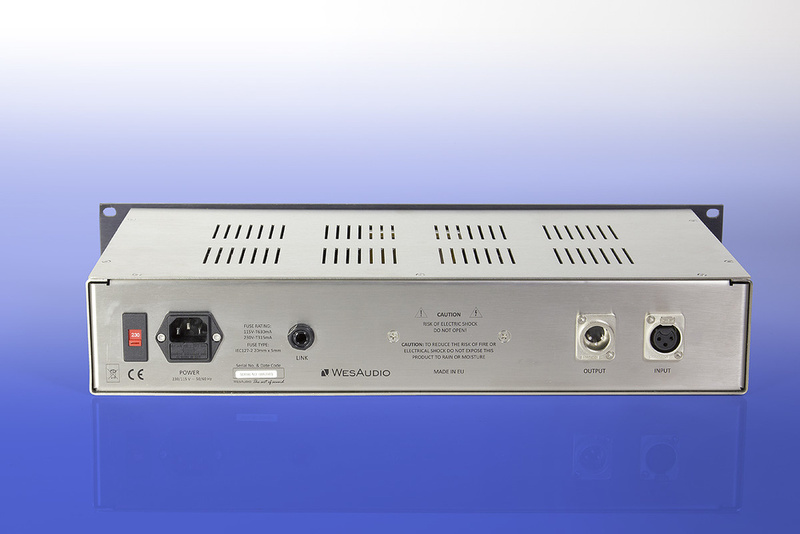 The company continued to expand, producing one of the first audio consoles for the radio industry and introducing its own AM transmitter in the mid-1930s. By the 1950s, the company had become one of the largest suppliers to the US radio broadcast industry and had begun entering the new television market. In December 1957, the Gates Radio Company was bought by Harris Intertype Corporation, a printing conglomerate, with Parker Gates becoming president of this new division and helping to develop it into a world leader in radio and television broadcast technology. Renamed Harris Broadcast in 1975, the business was eventually sold to the Gores Group in 2013. In March 2014, Harris Broadcast was split into two companies, Imagine Communication Corporation (Internet software and networking) and GatesAir (broadcast equipment). GatesAir continues, to this day, to manufacture over-the-air analogue and digital radio and television broadcast equipment at its 40-acre factory campus in Quincy, Illinois. Delivers a distinctive vintage-style compression and sound quality. Easy and intuitive two-knob operation. Switchable attack and release times. Relatively good value for money. Its distinctive sonic qualities won’t suit everyone. Only one high-pass filter frequency available. Based on the legendary Gates Sta-Level, the Wes Audio Timbre is a great-sounding, easy-to-use vari-mu compressor with a distinctive and vintage vibe, but with features that help it fit better into more contemporary workflows. Vintage King +1 888 653 1184.